Keto. Carnivore. Fasting. What should you know about these diet buzzwords and the potential benefits or risks, especially when you’re living with an existing or chronic health condition? Take a peek (and always talk with your doctor before making big dietary changes). What is the “keto” diet? The ketogenic or “keto” diet is a very low-carb, high-fat diet that’s been around for decades and gained popularity thanks to books, blogs and celebrities/influencers touting it the past two years. Researchers developed the ketogenic diet in the 1920s as a treatment for epilepsy, and some people with epilepsy that doesn’t respond to medication still use the diet to help prevent seizures today. Most people following the keto diet these days are using it for weight loss. By severely cutting carbs, the body enters ketosis — a metabolic state that burns fat for energy, essentially like starvation mode. The jury is still out on whether ketosis and the keto diet are safe, especially in the long term, because research is lacking. Critics of the keto diet say it is a fad (like Atkins 2.0) and so extreme that it’s hard to stick with (thanks to the 80% fat, 15% protein, 5% carbohydrate breakdown). Just a slice or two of bread = all your carbs for the day. But some researchers have been exploring the potential benefits of a ketogenic diet for people with some health conditions beyond epilepsy (such as type 2 diabetes, cancer and other conditions). And there’s a steady drip of studies on “going keto.” However, the studies are fairly limited in size and scope, ketosis is complicated, and nutrition experts say it can cause nutritional deficiencies and possible damage to the kidneys, liver, heart and muscles. In a word: meat. Well, technically there’s no official definition, but this diet trend involves eating “only foods that either walked, swam or flew,” Everyday Health says. In addition to meat and eggs, some carnivore dieters also eat other animal products like milk, yogurt and cheese. Why are some people rushing to the meat-heavy diet? Many people are using it for weight loss (especially if they’ve tried the keto diet but prefer eating more protein than fat). But some people have also turned to it to try to address inflammation, autoimmune conditions or food sensitivities. “It’s important to note that this diet is so new that there’s no research on the health effects of an all-meat diet, if a carnivore diet can actually reduce symptoms of autoimmune conditions, or if it is a reliable method for uncovering food intolerances or aiding weight loss,” Everyday Health reports. Besides being new and unproven, the nearly all-meat diet is controversial for a couple of reasons. First off, the carnivore diet is even more restrictive than the ketogenic diet and carries some related risks. It calls for not eating any carbs (grains, legumes, bread), fruits or vegetables. Eliminating fruits, veggies and healthy carbs (all part of a healthy diet recommended by the World Health Organization) means people are missing out in important nutrients like fiber, antioxidants and a variety of vitamins. 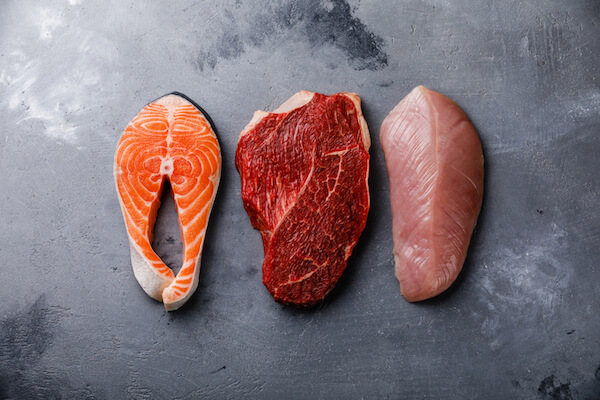 Eating too much protein can strain the kidneys, and a diet high in red and processed meats may increase the risk of stomach cancer, according to 2015 research published in The Lancet. Intermittent fasting is another topic covered in dozens of books and on countless blogs these days. This diet is less about what you eat and more about when you eat, and there are several variations and names, including the 5:2 diet, the 16/8 diet, “The 8 Hour Diet,” “The Fast Diet,” the “Warrior Diet,” “The Dubrow Diet,” and the “Eat Stop Eat” method. 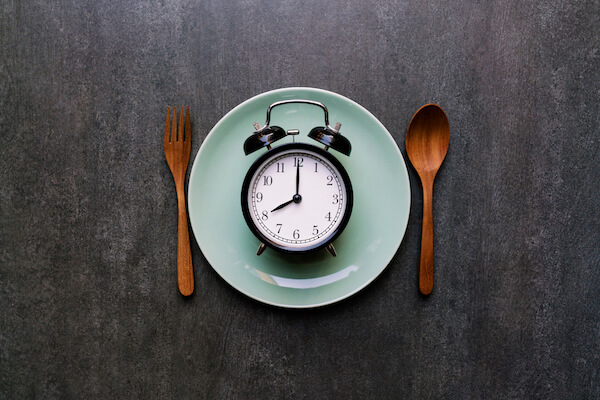 These diets call for periods of fasting (or severely limiting your food intake), such as fasting two days in a row each week or only consuming food in an 8-hour window each day. See examples, like the 5:2 diet and 16/8 diet, explained here. A few of the human studies on intermittent fasting (IF) and alternate day fasting (ADF) have focused on overweight adults with asthma and people at risk for type 2 diabetes, with somewhat promising results but calls for additional research. In general, paying attention to when we eat (over a shorter span of time each day) — but ideally not skipping breakfast or binge-eating on non-fasting days — could have some health benefits for some people, yet more large-scale and longterm studies are needed. Bottom line? Talk with your doctor and/or a registered dietitian who knows about your health condition(s) and treatments and can help you come up with a healthy eating plan that you’re most likely to stick with. Even if they’re not getting as much attention as the latest diet trends, some less restrictive and more balanced eating plans are still highly regarded (for example, the Mediterranean diet tops the list of U.S. News & World Report’s Best Diets Overall in 2019). How has your diet or way of eating affected your condition (pro or con)? Join PatientsLikeMe or log in to connect with others on this topic in our forum. Also, complete your PatientsLikeMe profile with the latest treatments or lifestyle adjustments you’ve tried and how they’re working for you. For example, you can add diet types (such as Mediterranean or low-carb/high-protein) to your profile (once you’re logged in, click the “My Health” tab). Together, we can learn more.